This course has been updated! 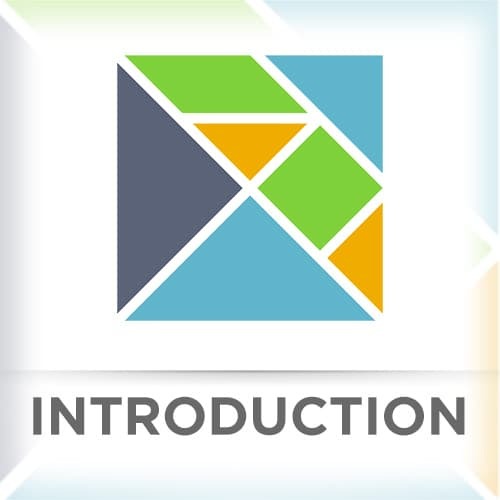 We now recommend you take the Introduction to Elm, v2 course. Richard explores the motive for choosing to code in Elm and show some advantages—such as the Elm compiler catches errors and suggests remedies. Elm comment syntax and HTML elements are shown as functions. He answers a question on Elm vs. TypeScript. The first exercise is to resolve the ToDo’s in the code provided. We’re building an application similar to GitHub but for Elm repos. We add some HTML elements into the Main.elm application. Richard talks about basic data structures in Elm such as strings, let expressions, records, tuples, and lists. Richard discusses destructuring the data structures. The second exercise is to display the results of a search. The search results are displayed and formatted with data destructured from the model. The Boolean datatype and operators are shown. Richard explores partial function application. Partial function application means that a function can be called with fewer arguments than expected, also known as currying. The List methods filter and map are presented. Richard introduces the Elm architecture of model, view, and update. All of the application state lives in the model. When the update function changes the model, the view function returns the Html record and then the Elm runtime renders that as HTML. User interaction handlers send messages to the update function which creates a new model. That new model gets passed to view and view sends a new Html record to the Elm runtime. The third exercise adds delete functionality to the search results. The solution is to add a delete message to update that creates a new model by using filter. Type annotations are optional but if declared the compiler will enforce them. You can create type aliases to compound type annotations. Function arguments and returns can also have type annotations that are enforced by the compiler. The fourth exercises involves improving documentation by adding type aliases. Type annotations are added to variables, functions, and type aliases. Case expressions are presented as more concise than if-then-else. Messages are shown as type aliases. A case expression is used to parse the message. Richard answers questions about functions without bodies. He discusses uppercase and lowercase function names. Richard writes code to grab a string from a text field and add it to a message using OnInput. He uses an OnClick handler to delete a result. Richard answers a question about when functions are executed and the flow of messages and the Update function. Built-in functions return a union type that contains two values, Ok and Err. It’s necessary to use a case expression to parse the union to get the value. The Maybe type has at most one value. Pipeline style allows an expression to be coded on multiple lines separated by pipes. Each line takes as it’s argument the value returned from previous line. Decoders are functions that accept JSON data as an argument and return a value. A decoder can be composed of multiple decoders arranged pipeline style. Richard explains that decoders make for easier refactoring. The sixth exercise involves building a decoder for search results. Richard answers questions about decode identity and function name uppercase. Richard builds out the case expression that accepts the search results.Then he completes the pipe that decodes the search results. Richards answers questions about logging inside a case expression, having multiple expressions inside a case branch, uppercase for type annotations, pipeline decoding, debug.log, let expressions, and virtual DOM. Functions in Elm are pure. If you give functions the same arguments they will always return the same value. It’s impossible for Elm to have a function that generates a random number. To get a random number from Elm you must use a command. Elm functions do not perform side effects. Functions do not modify external state. Commands may modify external state. Tasks may also modify state. Http.get takes as arguments a decoder and a URL. The seventh exercise involves commands and tasks to work with the search results. Richard creates a task that converts into a command that decodes the search results and handles the error. Richard answers questions about imports, graphQL, subscriptions, reordering a list, virtual DOM, performance, server-side Elm, concurrency, Elm for native mobile applications, and server-side rendering. Subscriptions manage messages from outside Elm. Richard discusses how Elm listens for responses. Richard hooks up the ports and logic for receiving the search results. The elm-pack.json file is explored. The tests directory with it’s own elm-pack.json is explored, showing dependencies on test runners. Richard answers questions about npm. Fuzz testing allows for randomly generated arguments for functions. Richards answers questions about custom fuzzers. The ninth exercise asks the user to create a unit test and a fuzz test. Richard completes the todos and resolves the errors revealed by the tests. He answers questions about debouncing, and task versus command. Refactoring with delegation is introduced as a technique to be able to scale your application and organize your code. The search options are scoped from the model with map functions. The tenth exercise asks you to use delegation to refactor the search options in the model and the view. Richard answers questions about organizing your modules, accessing the model from the view options, and module size. A new constructor function is added for the search options and the view options. Richard shows how a helper function to destructure the model may complicate your code. Richard explains how to solve the deeply nested component problem with the Elm architecture. One way to scale the viewer the model, or update is to split into smaller helper functions. Richard discusses approaches to creating a reusable signup form with validation. Richard show various ways to write functions to access fields. List performance techniques are explained by examining the underlying data structures. Rendering performance is improved by skipping DOM building using the lazy function. Restricting the view function to repaint no faster than the browser repaints is built into Elm. Exercise 12 involves using debug.log and lazy. The solution adds lazy to the search results. Richard mentions the last exercise of using elm-css.